Week 17 will feature three matchups that will decide divisional titles in the NFL. The Carolina Panthers (6-8-1) will travel to the Georgia Dome to face the Atlanta Falcons (6-9) for the NFC South. The Detroit Lions (11-4) will travel to Lambeau Field to face the Green Bay Packers (11-4) for the NFC North. Detroit and Green Bay have both already qualified for the playoffs, but the winner will host a playoff game and have a chance to secure a first-round bye. The Cincinnati Bengals (10-4-1) will travel to Heinz Field to face the Pittsburgh Steelers (10-5) for the AFC North on Sunday Night Football. Cincinnati and Pittsburgh have already qualified for the playoffs, but the winner will host a playoff game on Wild Card Weekend. Expect tensions to run high as these six teams will vie for the right to host playoff games on Wild Card Weekend. Fans are paying above average ticket prices for each of these match-ups. Currently, the average ticket price for Detroit vs. Green Bay is $474.91 while the get-in price is $262. This is Green Bay’s highest ticket price of the 2014 season. 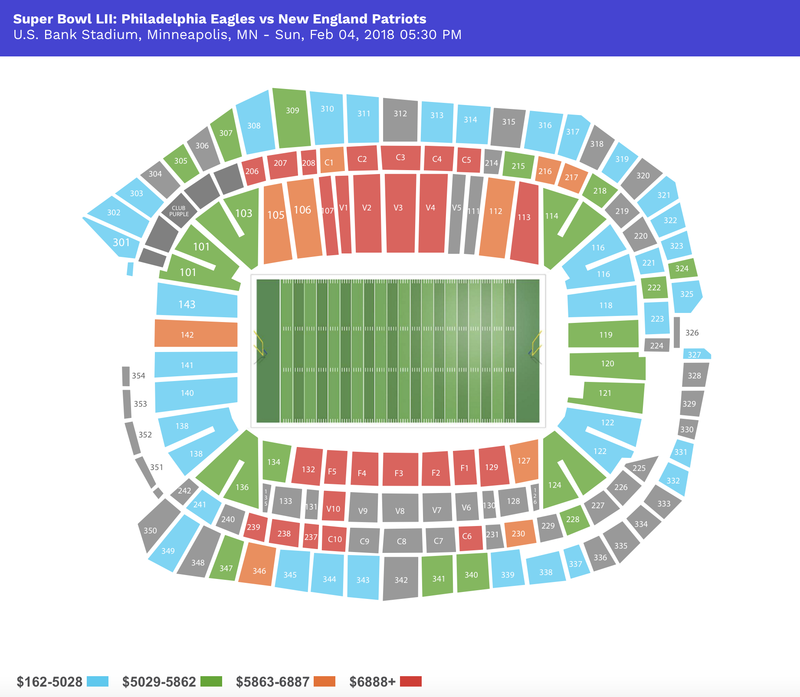 The average ticket price for Carolina vs. Atlanta is $307.06 while the get-in price is $75. This is also Atlanta’s highest ticket price of the 2014 season, 124% above Atlanta’s season average. In Pittsburgh, the average ticket price for Bengals vs. Steelers is $338.13 while the get-in price is $54. The game will be 72.5% above the season average at Heinz Field. Detroit won its first meeting against Green Bay, 19-7 in Week 3. Detroit’s pass rush won the battle at the line of scrimmage and constantly put pressure on Aaron Rodgers. Green Bay only compiled 223 total yards as Detroit bottled up running back Eddie Lacy and made Rodgers uncomfortable in the pocket. Matthew Stafford was erratic in this match-up, throwing two interceptions in the win. Stafford was bailed out by strong defensive play as Detroit’s defense was responsible for nine points. Atlanta won its first meeting against Carolina, 19-17 in Week 11. Wide receiver Kelvin Benjamin led the way for Carolina’s offense, catching nine passes for 109 yards and one touchdown while Cam Newton threw for 292 yards, two touchdowns, and two untimely interceptions. Matt Ryan threw for 268 yards and one touchdown. Wide receiver Roddy White caught eight passes for 75 yards and one touchdown. Pittsburgh blew out Cincinnati 42-21 during their first meeting. Ben Roethlisberger threw for 350 yards and three touchdowns. Running back Le’Veon Bell compiled over 200 total yards and three touchdowns. Wide receiver AJ Green caught 11 passes for 224 yards and one touchdown in the loss. On top of above average ticket prices for each of these matchups, fans will anxiously watch to see if their team will become a division winner. Each winner will be host at least one playoff game. Expect emotional battles from both teams as division championships are on the line.